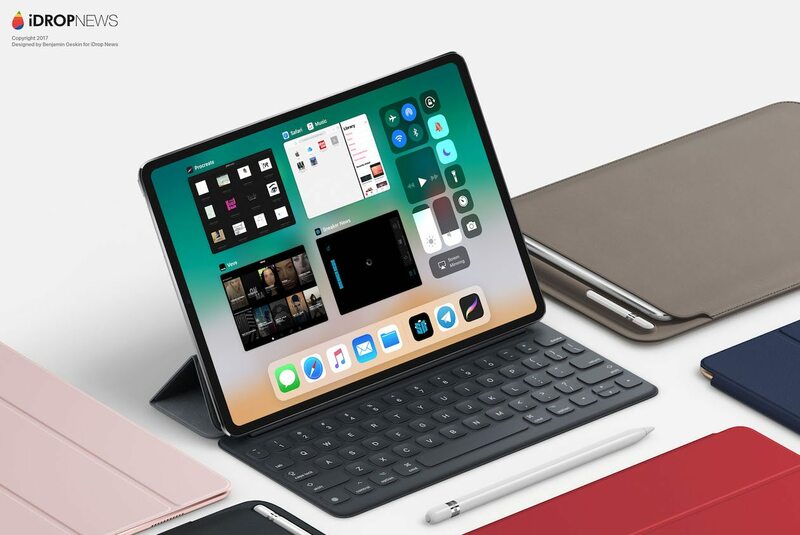 Last month, KGI Securities analyst Ming-Chi Kuo claimed that Apple’s new TrueDepth camera technology will make its way to 2018 iPad Pro models. 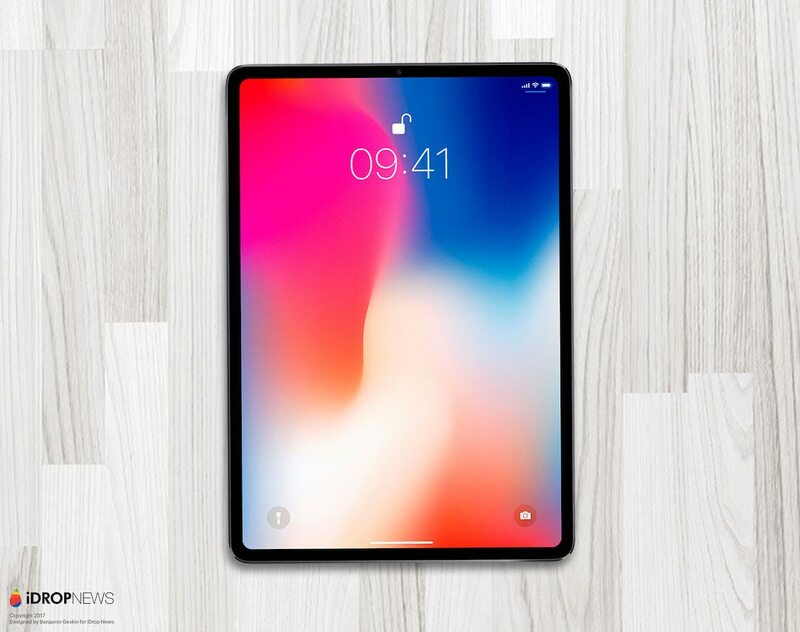 The redesigned iPad is expected to ditch the home button, replacing Touch ID with Face ID, and feature slimmer bezels similar to the iPhone X. However, various reports have noted that an OLED display is rather unlikely given manufacturing and supply constraints. 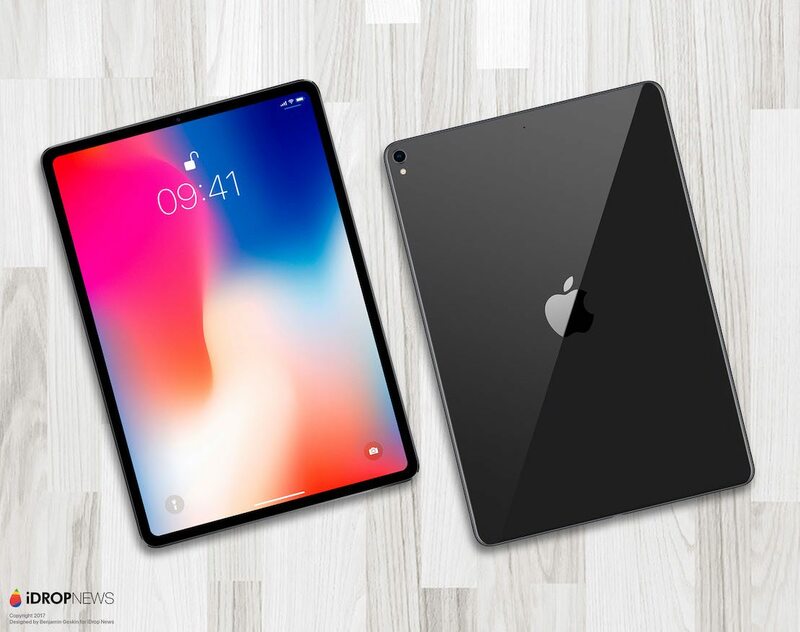 iDropNews has shared some renders of what an iPad Pro with Face ID may look like. The images (shown above and below) depict an iPad Pro with much thinner, but still very visible, bezels. 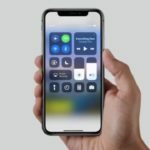 If the Apple does adopt this new iPhone X-like design, the new iPad Pro could feature a 10.5-inch or 12.9-inch screen in a much smaller form factor. 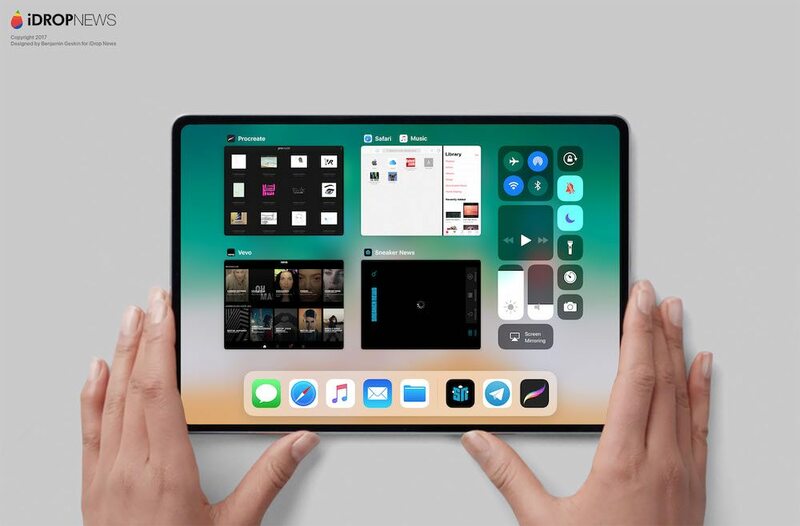 On the other hand, the company may just use this extra space to incorporate a larger display without increasing the overall size of the device.